Rounding worksheets where whole numbers must be rounded to the same place value as the most significant digit. This is a great starting place for building rounding concepts. 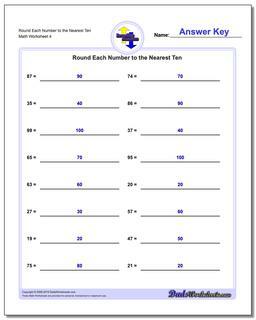 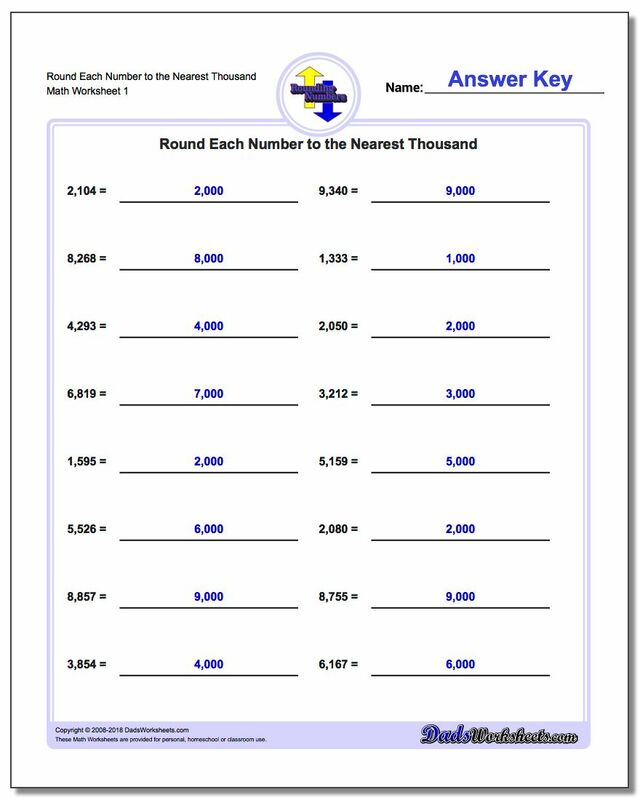 The worksheets on this page provide an extremely gentle introduction to the concepts of rounding numbers. 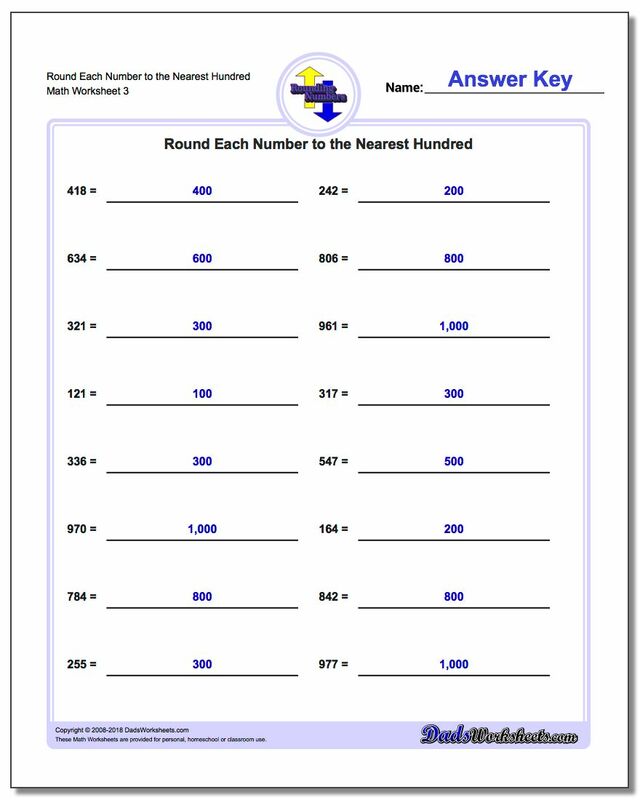 All of these worksheets deal with rounding whole numbers to a value that is also their most significant digit. This makes solving the problems on these worksheets very easy because it is always the left most digit of the number that corresponds to the place value being rounded. Further, earlier worksheets in this series are only two digit numbers, so the problems are entirely rounding values less than 100 to the nearest ten. 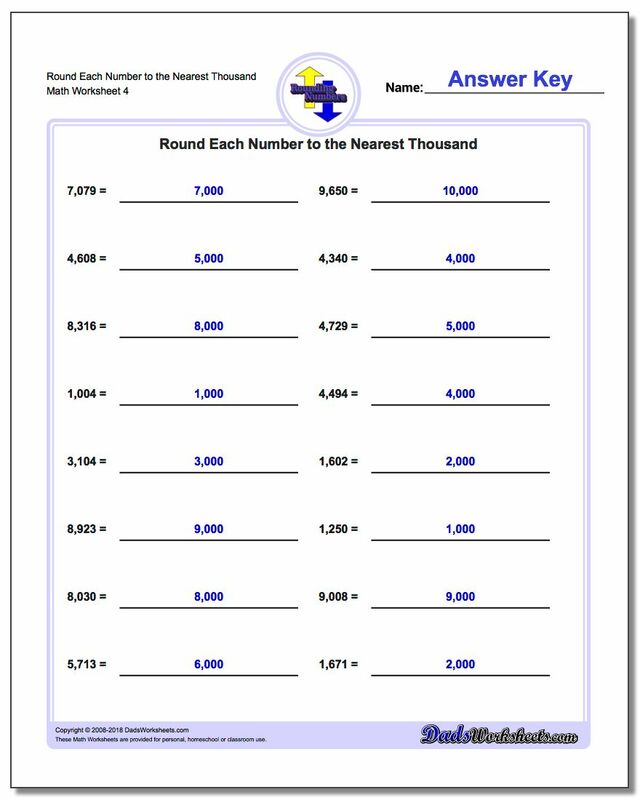 While seemingly pedantic, these types of problems focus the student exclusively on the evaluation of the next-largest significant digit and developing the sense of whether to 'round up' or 'round down' based on that value. 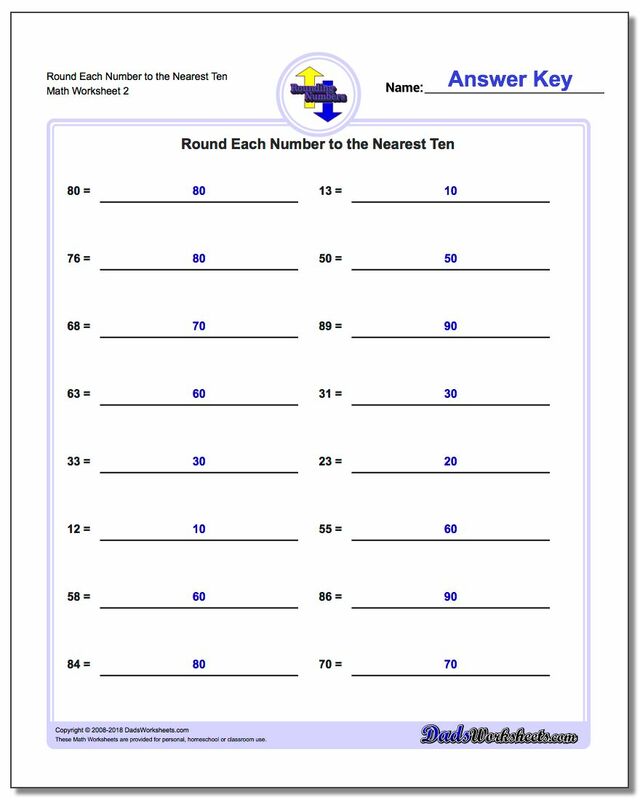 As these worksheets build in complexity, the student is gradually challenged to find the correct digit to round based on the problem description. Because of this gradual introduction of rounding concepts, these worksheets are incredible confidence builders for students who intially have trouble grasping the concept of changing a number one way or another.They focus the students attention on the most important aspect of the rounding algorithm before adding the extra steps of finding the problem's corresponding place values.